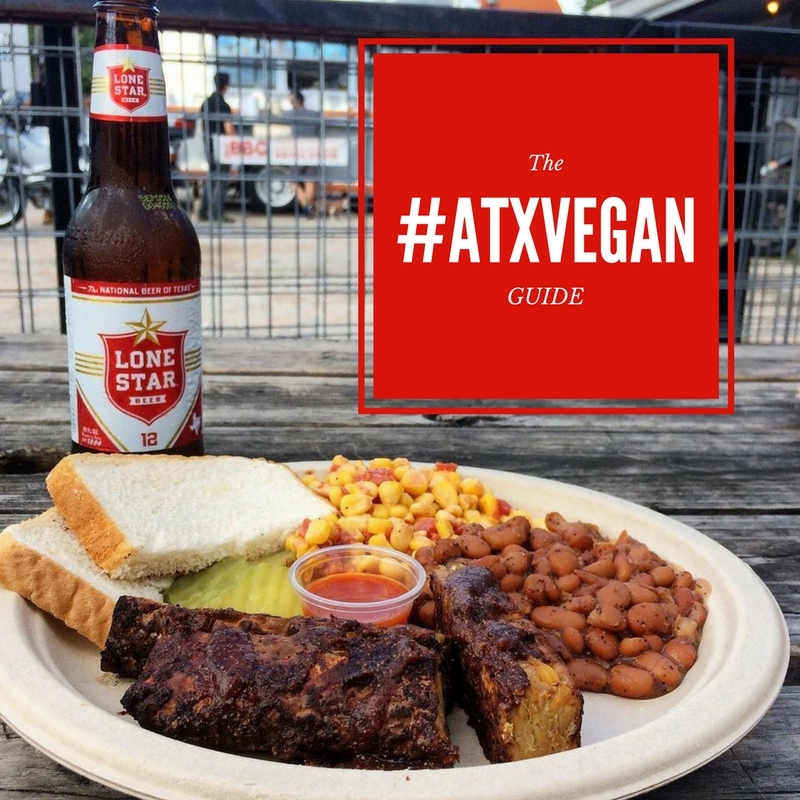 The other day The Lonestar Plate wrote a guide about the best brunches in Austin. I started to comment about this and that because I felt like Molly’s criteria for best brunch isn’t the same as mine and we have such different opinions about something so important. Luckily, I have my own blog where I can ramble on about my favorite brunch spots with my favorite pictures. My criteria is this: I don’t want to wait to sit forever and brunch can’t end at some absurdly early hour. 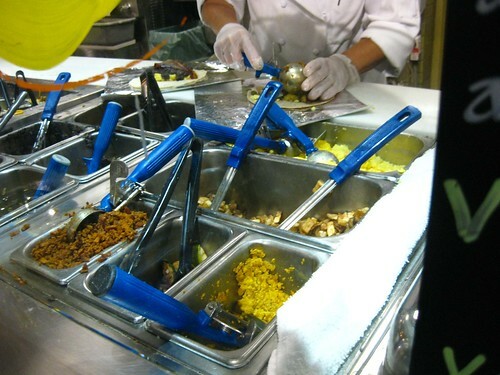 I love that Wheatsville runs their hot bar with biscuits and gravy and tofu scramble all the live long day on Sunday. I actually end up there quite a bit because sometimes I don’t truly get my act together until around 3. It’s a tough life! 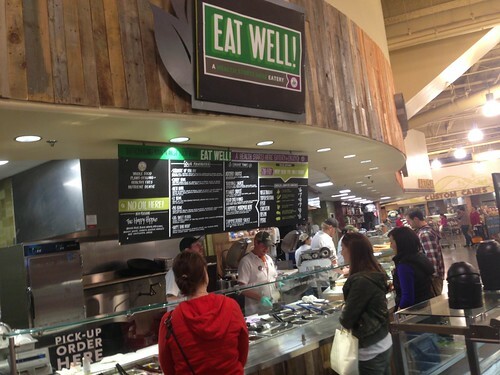 Whole Foods is kind of the opposite of mellow wonderful Wheatsville. Breakfast taco service ends at 1pm on the weekends and the store is always buzzing in a beehive-like panic. But I adore their breakfast taco, even though it is totally inconsistent and sometimes doused with turmeric, when it’s on it is my favorite taco in town so I will occasionally brave the crowd…or more likely send someone to get tacos for me! 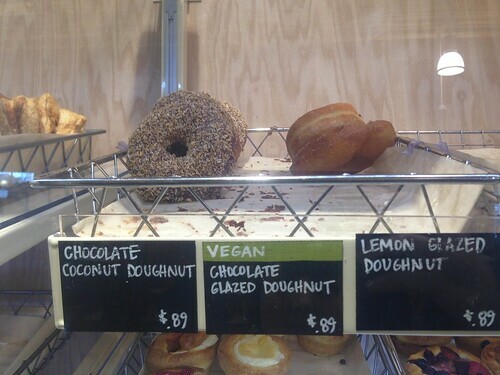 They have other stuff too, they recently reformulated the donuts but I am still not impressed and they have a bagel bar with all sorts of vegan toppings but it seems to always close before I get there. They used to serve all kinds of good specials at the vegan bar but now that they are on the health kick it isn’t as appealing to me. So tacos it is and I don’t mind one bit. 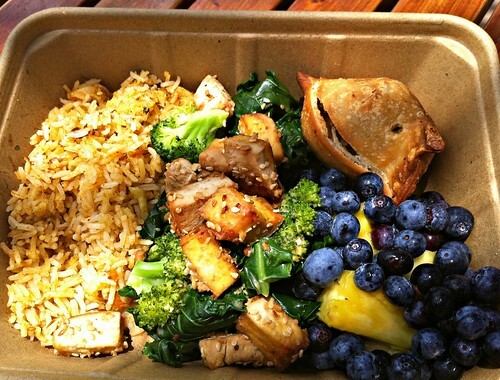 One place I do love for healthy food is the recently opened Juicebox. For months I have been enjoying the Green Monster Smoothie (broccoli, peanut butter, coconut water, banana and spinach how are you so good?) but recently they expanded the smoothie menu and it is a lot harder to choose. 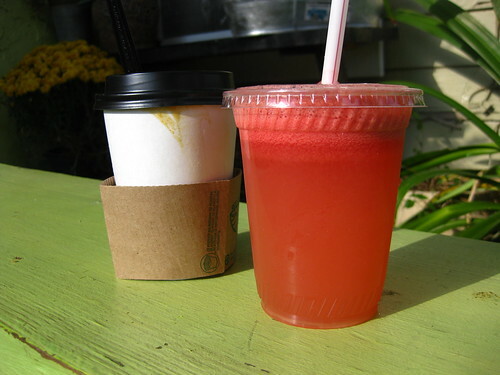 So far I love the “Buisness Time” (cold pressed coffee, coconut water, cacao, and banana) even more than the Tropicalia (mango, banana, pineapple, lemon, kale, and spirulina) probably because tropical smoothies in Hawaii are still fresh in my memory. They also have vegan soup options from the Soup Peddler but so far I have been disappointed. I don’t know people refuse to make creamy vegan soups like corn chowder or potato leek, it really isn’t a sacrifice to use non dairy milk! I promise. 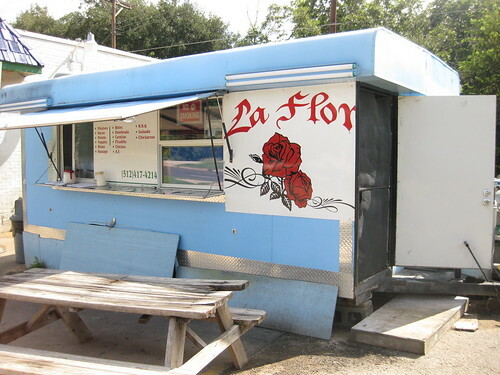 Another place I frequent is La Flor, and not just ’cause I live so close by. This place has the best tortillas I have ever had. Both the flour and especially the corn are just another level of amazingness. 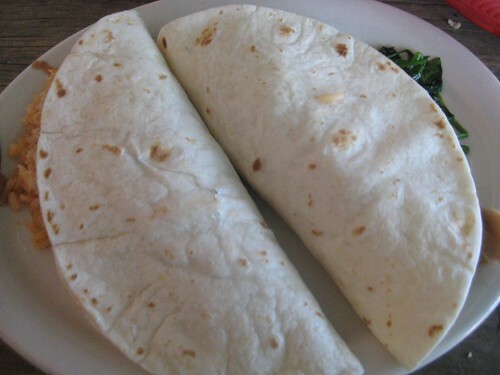 They are almost like a crepe and so fresh and delicious that no other taco can compare. The Spanish speaking proprietors of the trailer have assured me several times of an absence of lard in the refried beans and they are just delicious and similar to the fabulous recipe that I make at home. I finish off my taco with their steamy potatoes, nopales, and spicy green sauce and I am in cielo. I was so excited when I found out Summermoon was selling Red Rabbit Donuts. I am desperately in love these deep fried morsels of wonder even though they don’t have any cream filled varieties. I am so glad to have a spot close to my house where I can pick them up. They probably have a location close to you too. I wish I could eat them every day. Another coffee shop on South First has probably the greatest vegan breakfast empanadas in the world. The Fair Bean works magic with their flakey buttery crust surrounding perfectly seasoned breakfast sausage and soft potatoes. I don’t know why it isn’t one of the most popular vegan spots in town but I wish you all would check it out. Believe me on this! 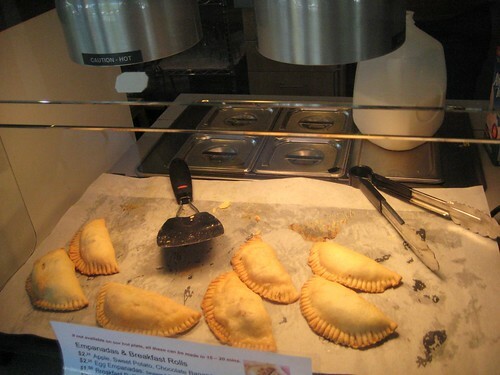 Maybe it is because they run out of vegan empanadas sometimes or maybe they are just too close to Bouldin Creek that not enough folks seem to give them a shot? They also have fantastic lattes, the best in town and red roobis lattes, a Roto de vegan, fantastic and giant chocolate chip cookies and banana bread. And eveyone that works there is really nice. And the owner is Brazilian. So go. I don’t work for them I just want them to always be there. 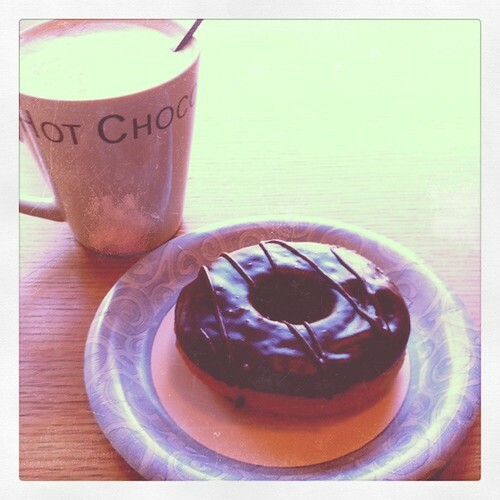 Of course there is a reason that everyone goes to Bouldin Creek Coffeehouse. It probably has my favorite brunch in town. I love their unique baked tofu scramble in both the omlettes or the tacos. The Rennedict was truly a step above it for me. All that delicious tofu scramble covered in hollindaise and the best tofu bacon I have ever had make me want to cry because I go there all the time and this picture you see is the only time I have ever gotten to try it. They stop serving it at 11 or whenever they run out. And they always run out. So if you are one of those people that gets up and goes for a nice run and then needs a hearty breakfast by 8am check it out. I’ll be in bed drinking coffee and thinking about how much I hate you. Although it isn’t paticularly vegan friendly I do end up at Polvo’s quite a bit and eat about a million chips with their delicious trio of salsa’s and escabeche while sucking down their giant Michelda. By the the time I get my food I’m not even hungry (stupid awesome chips and salsa) but their breakfast tacos are pretty good and they have lots of options. 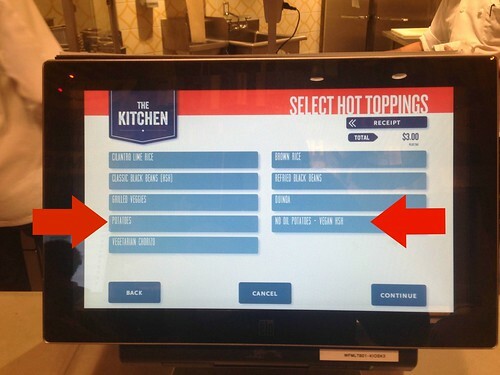 The trick is to go to the very back middle bottom page of the menu to see your options. The staff is notoriously unhelpful but if they aren’t busy and you can get across veganism to them they sometime will make you really good food off the menu. If you don’t want a battle just be prepared to order a breakfast taco and say “really no egg” about seven times to get the point across. Curra’s over on Oltorf has better vegan options but they always seem to have a long wait so I never go. 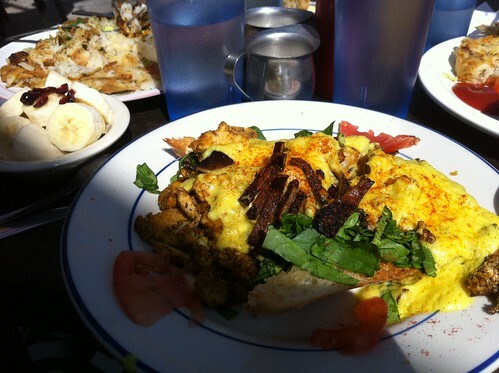 Mr. Natural is another place with inconvenient brunch hours but worth checking out on a Saturday for sure. Mexican Breakfast is probably my favorite thing about life in Austin and this cafeteria does it right, if you weren’t impressed by lunch or dinner give their breakfast a shot. And then try lunch again on a different day. 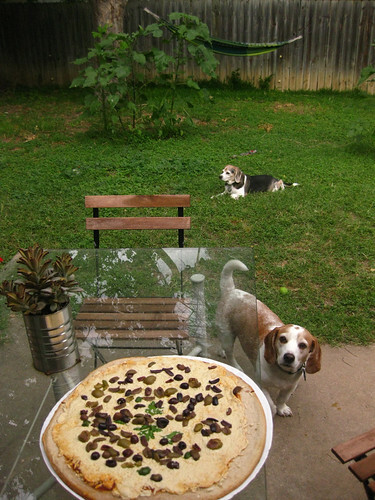 The menu has tons of stuff that can be easily veganized like this Mexican pancake. 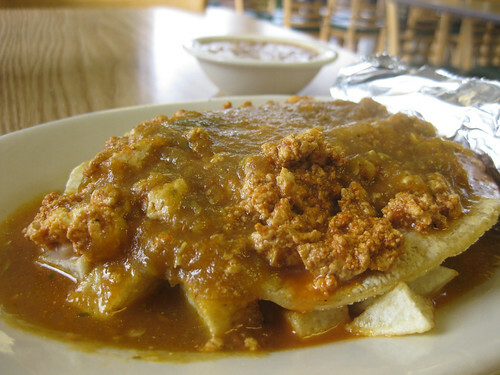 It is just a pile of potatoes, a fresh tortilla, and vegan chorizo covered in Ranchero sauce but they make every aspect of it in house so every ingredient is done to perfection. 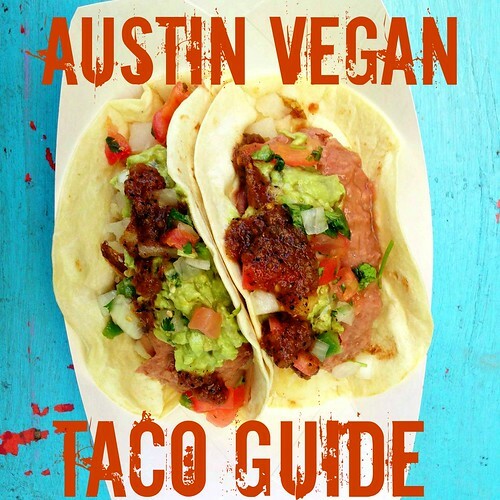 I love the Tofu Migas and the breakfast tacos (with no lettuce) as well but they also have vegan Belgin Waffles, acai bowls, cinnamon toast and ice cream sundaes! And vegan tres leches but that’s another story. Just down the street from Mr. Natural, and at 4 other locations in town, is the very popular Kerbey Lane Cafe which is one of those places that is great for vegetarians and really not worth the hour wait on Sundays for vegans. The pancakes are much better than they used to be now that they don’t try to do vegan and gluten free and I love that they bring you margarine without asking. But, the rest of the vegan platter is kind of a disaster. The tofu scramble is either way over-spiced or not spiced at all and it really doesn’t go with pancake and maple syrup at all. Then there is the utter disaster that they call soysage. Thier soysage is the reason people throw rocks at vegan kids at school. It is exactly what the people who refuse to try your cooking think of when they hear “fake meat”. Maybe that sounds harsh but I really think nasty vegan food does more of a disservice to veganism than having no food at all. The really sad part is that vegan sausage is so easy to make or buy! It is probably the truest meat analogue there is after chick patties. 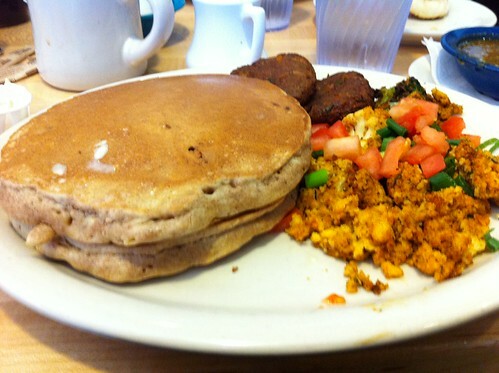 I wish they would just get rid of the scramble and the sausage and serve the pancake with fakin’ bacon and homefries. 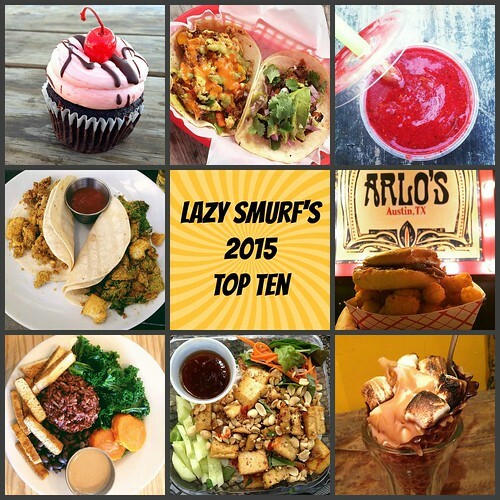 Another disappointment, but for the opposite reason is Snack Bar on South Congress. 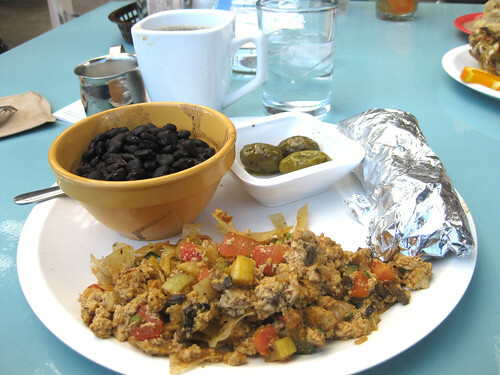 They used to have these fantastic vegan migas, pictured above but then they got a new chef and took them on the menu. 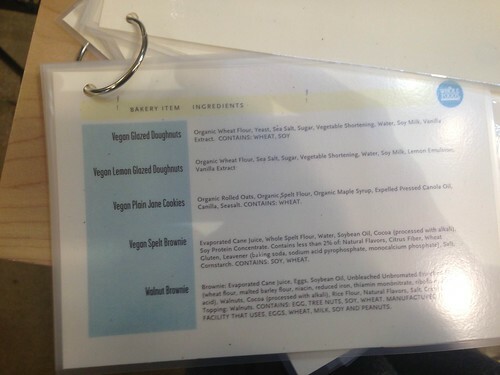 Before that, they had tempeh bacon and vegan waffles but they got a new chef and took them off the menu. They contacted me the other day to say they reformulated the vegan arepas and they are really good now but I think I’m afraid that I will go and love them and then they will take them off the menu. At least their cocktails are delicious and the patio remains one of the cutest in town. For me, only two north spots make the cut because I am a southie for sure but I have to mention Counter Culture because pretty much whenever they have brunch (they only do it some Sunday’s so follow them on F*c*book) I have to go. French toast is usually the main attraction but I love the tempeh bacon, biscuits and gravy, and almost everything I have had there. 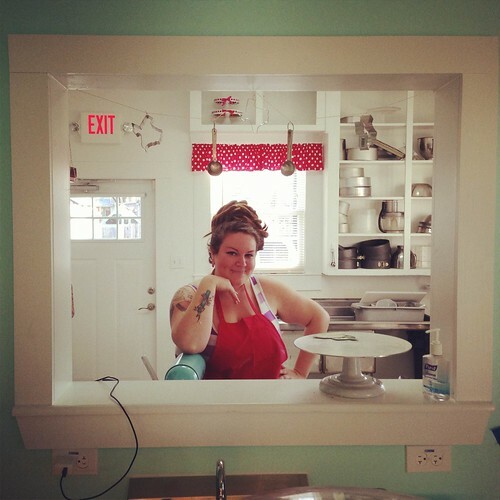 I dream of Sue opening a restaurant in South Austin that has brunch every day. Finally, Sunflower Vietnamese restaurant should not be missed. I regret all the years I was too lazy to drive all the way up to research or 183 or whatever the hell crazy road this little Vietnamese restaurant is on because I missed out. 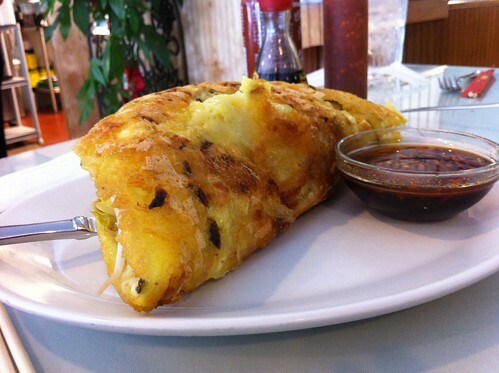 The Vietnamese crêpe (or Bánh Xèo) is stuffed with mushrooms and and sprouts and all the traditional Vietnamese elements. 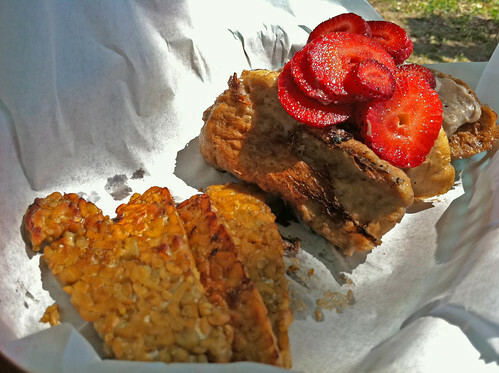 The crepe is made out of rice flour and coconut milk and is probably even gluten free. It is by far the best vegan crepe I have ever had. 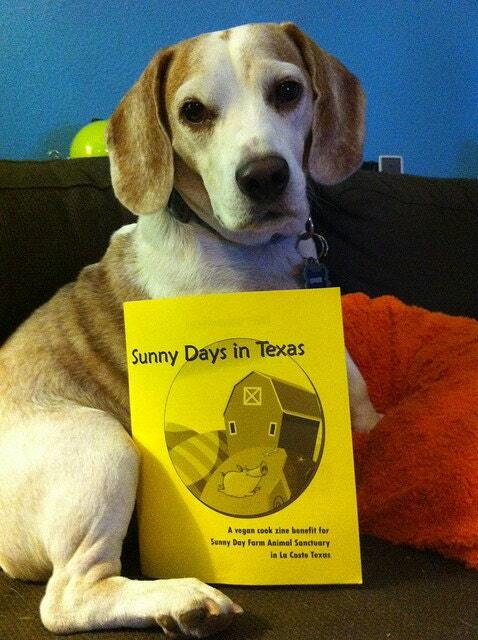 I highly recommended you check it out. So that is my brunch guide. If you disagree fee free to comment or, better yet, make one yourself! 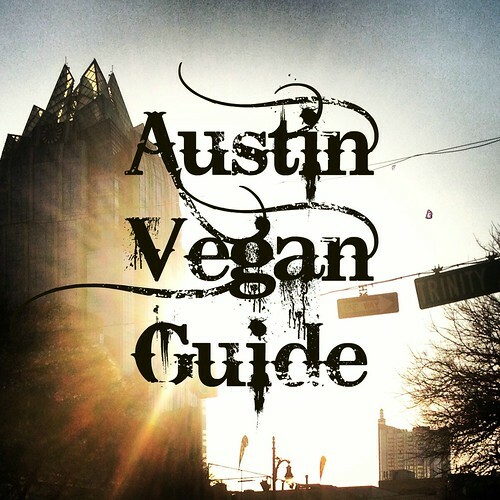 I love reading about vegan food in Austin. This entry was posted in Austin and tagged acai bowls, best brunch Austin, biscuits and gravy, Bouldin Creek Coffeehouse, breakfast taco, Counter Culture, Curra's, escabeche, French toast, Green Monster Smoothie, Juicebox, La Flor, lattes, Mexican Breakfast, Michelda, mr. natural, polvos, Red Rabbit Donuts, red roobis, Rennedict, Roto de vegan, Snack Bar, Soup Peddler, South First, Summermoon, Sunflower Vietnamese, The Fair Bean, The Lonestar Plate, Tofu Migas, tofu scramble, vegan Belgin Waffles, vegan breakfast empanadas, VeganMoFo, Wheatsville, Whole Foods on October 25, 2011 by lazysmurf. Sometimes I wonder if the other people I see at whole foods have budgets, or even jobs. Working by the store is both a blessing and a curse. For me, it is the most convenient place in town to get lunch but I always spend more money than I intend too (it is way too easy!) and buy things I probably shouldn’t (Big John cookies!). I am also not a fan of the vegan/raw bar there and often end up getting a premade salad or wrap in an attempt to not break the bank. If I am really hungry or indecisive then I lose all willpower and I end up at the super bar (like most people seem to at lunch) and I spend at least 10 dollars, usually a lot more. Which is way too much for me. Also, since I’m a total cheapskate and it is priced by the pound it takes me forever to decide what is worth the weight. Usually, when I don’t have a lot of money I get rice and beans in a cup from the taco bar for a dollar (grab a little free cup of salsa, if you ask them add salsa it will be considered a “taco in a cup” and double the price). If I am really hungry I get a double layer of beans and rice for 2 dollars, or dump it on top of some mixed greens to up the healthiness factor and eat fairly cheap. I also always cruise through the produce aisle since they have fresh fruit samples and enjoy those as well. If you are going to get fruit it is cheaper to get it here in the prepared cups then to add it in at the salad bar too where everything is the same price. 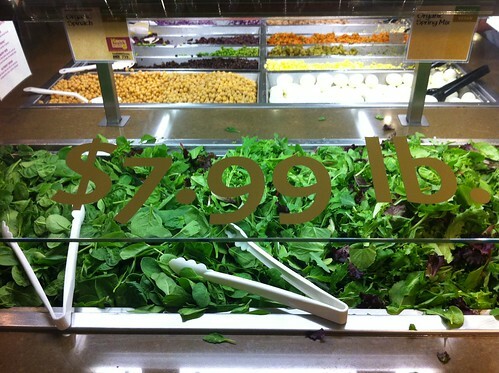 When making a plate at the salad bar I used to always put a layer of spinach at the bottom since it is so light and healthy, but it’s still 7.99 a pound for anything on the bar so it always adds up more than I think it will. 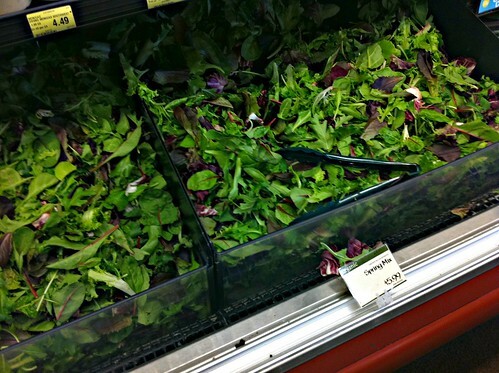 The other day, I was talking to someone who gave me this awesome tip; after you are done filling up on fruit samples, get your mixed greens for your lunch from the produce aisle where they are only 5.99 a pound. Put it in a produce bag and add it to your plate after you pay. It is the exact same greens for 2 dollars less! There is actually a whole wall now of precut and washed salad ready food right behind the vegan bar and it is even less at 4.99 a pound. It is all the same stuff from the big super bar and on a recent trip they had kale and asparagus and other expensive vegetables that weren’t on the salad bar. What a great deal! If you mix the precut vegetables with the rice and beans from the taco bar you can have an amazingly healthy lunch for less then 5 dollars. And if you are reading this whole foods, don’t worry I still spend plenty of money at your dang store on açaí smoothies, coffee, food for lover’s queso, delicious beer, and vegan ice cream. 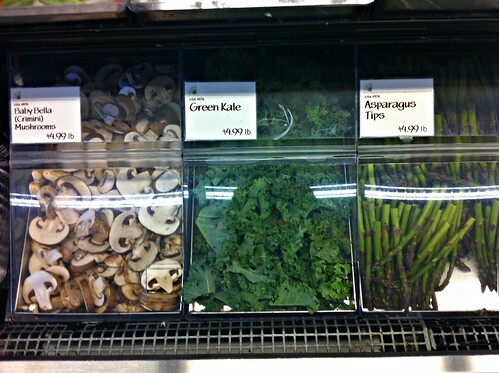 What do you get at Whole Foods? 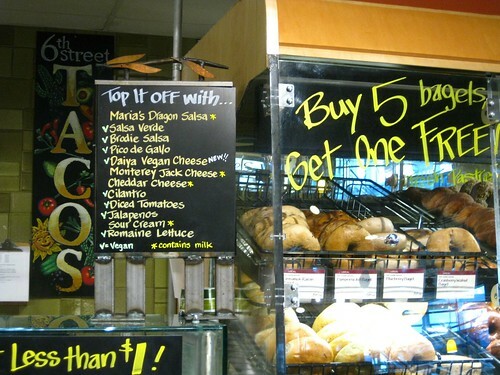 This entry was posted in Austin and tagged Austin, cheap lunch, cheapskate, vegan, Whole Foods on June 30, 2011 by lazysmurf. Whole Foods Breakfast Tacos have Daiya Cheese Now! 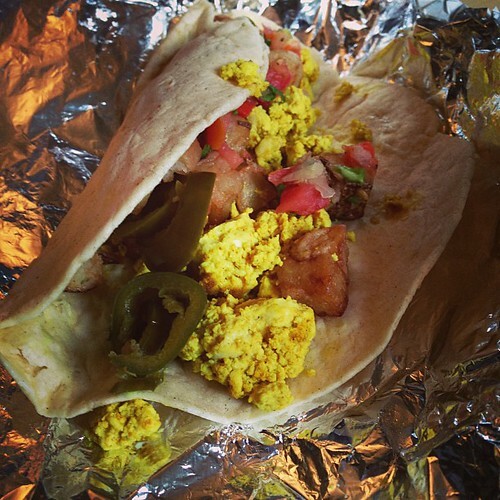 I think I have probably written about whole foods breakfast tacos more than anything else on this blog. 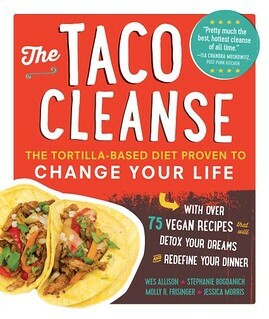 To me, tacos are the perfect food and sometimes the only food! The breakfast taco is the most important taco of the day and when it comes to vegan breakfast taco options whole foods just has more than anybody else, and they are a great deal, and I can stop right on my way to work. Sure, they are kind of evil, but I have friends that work there that love it and they really do promote vegan food more and more. 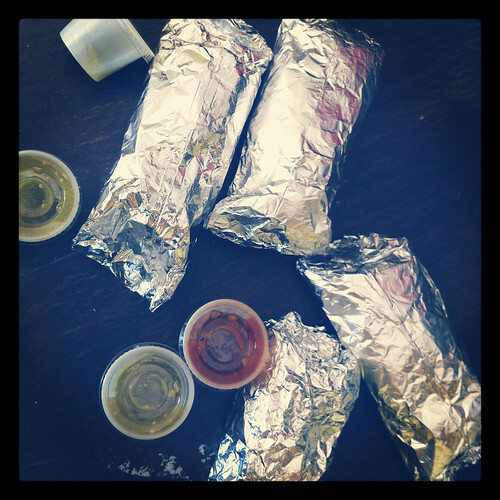 The key factor to their taco brilliance is that they are so freaking good. The spelt tortillas are warm and comforting, on a good day the roasted potatoes are salty and soft and crunchy all at once, the pico de gallo is always fresh and delightful. So at least one morning a week I go, get my coffee, and stand in an oftentimes epic line behind people in teeny tiny little jogging outfits to wait for my taco. I spend the time thinking if I will get my regular -tofu potato pico on spelt- or branch out and get vegan chorizo, roasted vegetables, cilantro lime rice, black beans, re-fried beans or spring for avocado instead. Over the weekend (they serve breakfast until 1, it is 11am the other days) I was looking at the new signage and noticed another free topping- Daiya Vegan Cheese. So, if you are a fan of Daiya you are in luck! The new vegan cheese has really taken over the lamar store. They even have premade take and bake vegan pizzas. I had one with seven different kinds of olives for my birthday a few weeks ago. ALSO don’t forget that Vegan Drinks is this Wednesday at Snack Bar. You don’t have to be a vegan to come! 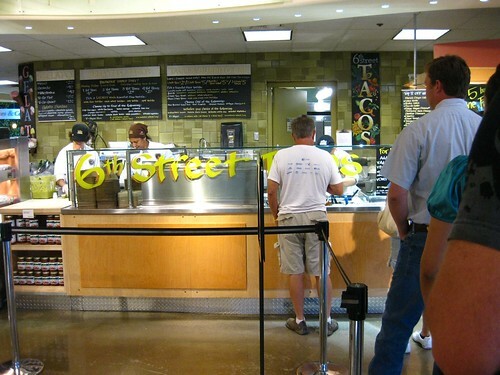 This entry was posted in Austin and tagged breakfast, breakfast tacos, Whole Foods on June 22, 2010 by lazysmurf. Sunday morning was a race against time to get to Whole Foods before they stopped selling breakfast tacos. If you know me at all then you know that I love the Whole Foods taco. 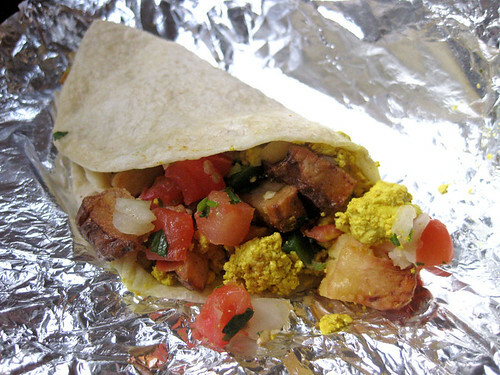 It takes vegan breakfast tacos to a whole new level with a wide range of choices and terrific tortillas. At my office it is common practice that if you are more than 15 minutes late you must stop at Whole Foods to get tacos. Anyway, on Sunday I was speeding there because although Dan and I have shared a multitude of breakfast tacos together he had never tried the Whole Foods version because we usually don’t venture downtown early enough on the weekend (and by early I mean before noon). At 11:35 I was just finishing up my yoga session when I looked at the clock and realized that I was going to have to book-it. Luckily, there was zero traffic on Sunday morning and I shot right up to 6th and Lamar only to be foiled by the seemingly thousands of people in the Whole Foods parking lot. It was total chaos! There was excited holiday shoppers mixed with large groups of tourists and organic moms with their organic babies in PVC-free strollers all slowly walking or rather ambling around seemingly with no particular goal. I finally made it to the counter and bought my tacos with seconds to spare and all was well with the world. 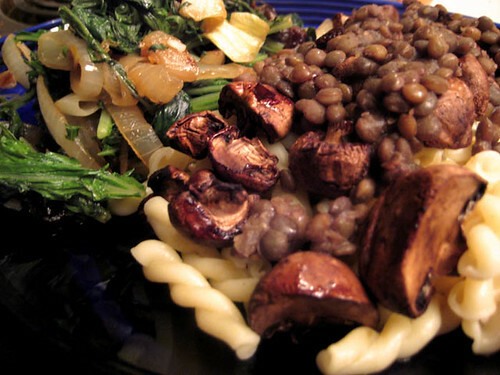 This entry was posted in Austin and tagged Austin, earth, greens, lunch, Mushrooms, pasta, Puy Lentils, Voluptous Vegan, Whole Foods on November 25, 2008 by lazysmurf.